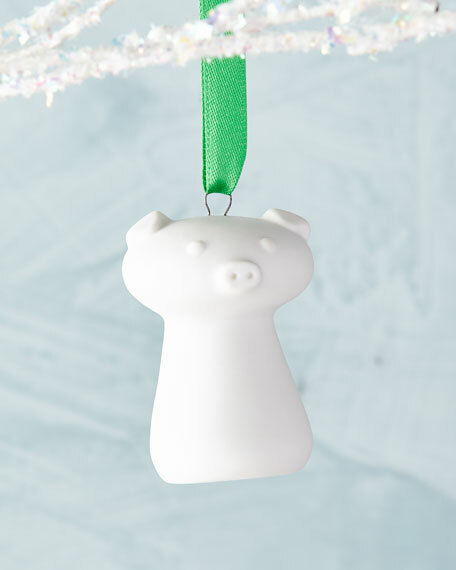 Jonathan Adler Menagerie Ornaments are handcrafted from white porcelain and guaranteed to bring Mid-Century Modern style to your tree. Collect every one for a wildly chic assortment. Each one comes in a fetching and festive box, perfect for storage. High fired porcelain with white matte finish. 1.8"W x 1.5"D x 2.3"T.